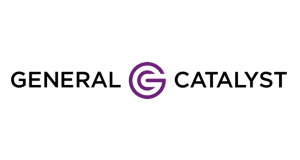 General Catalyst is a venture capital firm based in Cambridge, MA. They typically make early stage investments in technology companies. They have made series A, B, C, and D investments in Circle, a crypto finance company. Want more detailed information on General Catalyst and more than 700 additional crypto hedge funds and VC funds? Download the Crypto Fund List! Want more detailed information on General Catalyst? Get 30+ categories of information on General Catalyst and more than 700 crypto hedge funds and crypto VC funds in the crypto fund list.